There is a growing underground force of pop labels releasing music on nontraditional formats. Of these formats, two prevalent ones, at least in the lo-fi pop and twee pop arenas, are cassette and the 3-inch single. Being such a strong fan of the genres that release via these formats, one would think I would have the ability to play them when they arrive in my mailbox. Unfortunately, I do not at this time. (But boy do I love receiving them!) 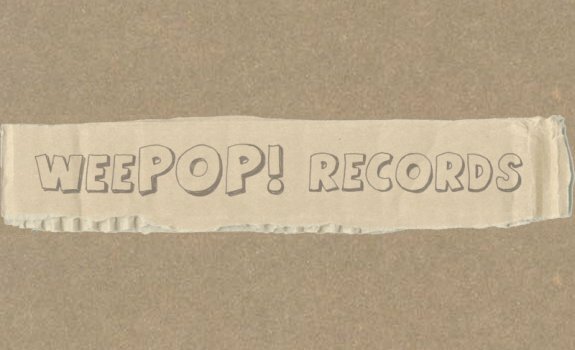 WeePOP! Records releases via the latter and they’ve built a solid foundation of twee and lo-fi pop releases. 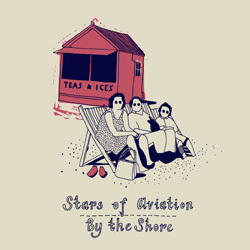 Stars of Aviation are up next on the WeePOP roster with By The Shore. Their song “Underneath The Elms” has a sound somewhere between Sweden’s Suburban Kids With Biblical Names and Omaha’s Son, Ambulance. It’s the deep, dreary vocals that warrant the similarities on both accounts, and it’s Stars of Aviation’s lovable pop sound that makes this band stand on their own. 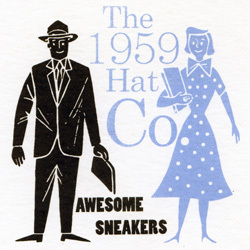 We recently covered The 1959 Hat Company’s split with Thunder Power. Well not too long before that came out, they released Awesome Sneakers on weePOP! 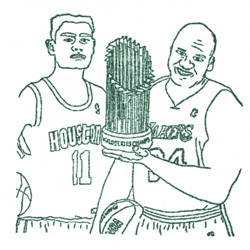 It’s pop in a similar vein as what we covered, and we like what we covered, so we definitely approve of “Awesome Sneakers”, the title track off this 3″ single! “Balloons In The Sky” features joint male/female harmony vocals. It also highlights all the basics for the perfect pop song: heavy tambourine, hand claps, those insatiable vocals, and a melodica! This is one of the few releases also available digitally from BandCamp. 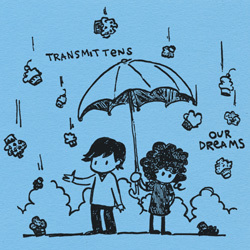 Aside from Our Dreams Transmittens recently released We Disappear through weePOP! 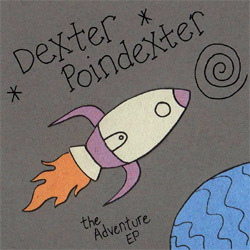 Like many of the artists on the weePOP label, Dexter Poindexter fits the lo-fi pop subgenre, and they border on twee. “Total Disaster” is indicative of precisely what makes a label like weePOP great. The song is wildly catchy, with lighthearted guitars and bouncy percussion fronted by romantic-tinged vocals. 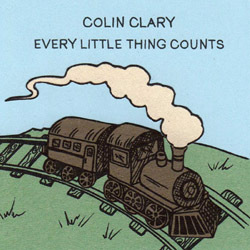 Colin Clary’s music is about as lo-fi as it comes without getting tagged with the fuzz pop label. His vocals are a hint hazy and the guitars lack the standard production yet aren’t quite garage worthy. “Phone Me, Phone Me” will find its way into your heart, but may take a few listens before it really catches on. When it does, you’ll be singing along to all the do-do-dos and ba-ba-bas. Not often do you hear the Scottish accent fronting a soft, emotive electopop with a light synth beat and a heavy piano. That’s exactly what you get with “Hideous Accident”. 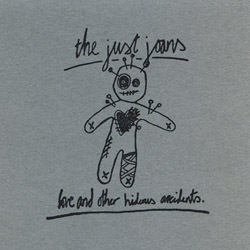 The Just Joans are a weePOP regular, and two of their notable releases include Love And Other Hideous Accidents and Hey Boy… You’re Oh So Sensitive. 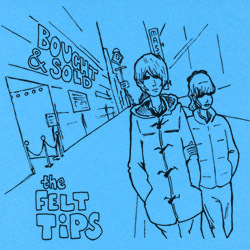 Oddly enough, and I have no basis for reasoning in this statement, The Felt Tips remind me a bit of The Lucksmiths. Or maybe a clash of The Guild League meeting Math & Physics Club, another statement with no particular basis of reasoning. Either way you look at it, “The One Who Got Away” is a great pop song with a slight country twang and a big ol’ heart on the sleeve. “Rio Grande Sandbar, 2001” begins with an a capella barbershop quartet sound, and it only goes lo-fi pop from there. The combination is entirely unique, and it works surprisingly well. Donald Fagen Mix Tape may be one of the more interesting and eclectic releases on weePOP! I didn’t mention it before, but Colin Clary is in The Smittens, who have released albums on weePOP and Happy Happy Birthday To Me. 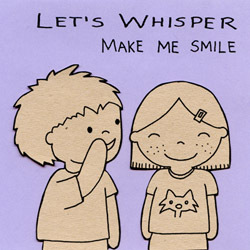 He returns in Let’s Whisper with Smittens bandmate Dana Kaplan. With a ukulele and a light guitar, this duo brings back bedroom pop in a big way. Simple ukulele folk-pop artist Wonder For All is the solo project of Wendy Chin, and she plays delightfully romantic twee songs that are ever so brief. 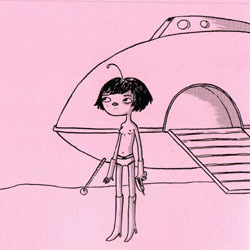 “Holiday” is one such song and it is, dare I say, totally adorable. 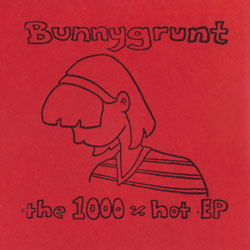 Bunnygrunt’s “1000% Not Creepy”, which is on The 1000% Hot EP, was also released on Matt Harnish & Other Delights, their most recent LP on HHBTM. The song is a bit more rambunctious than others on the weePOP label, but that just makes it stand out even more. Cumulus Festival 2010 Begins Tomorrow! great post. thanx for the label rec. Great feature on this label I had never heard of before, but am now a big fan of – one great band after another!